Want to watch Penn State football online? Here are all your legal options in the cord cutter's Penn State Football live stream guide. Only streaming option on this list. Great for live TV and on-demand content with no contract. Consistent prices with the largest channel library to boot. A good option for the fans that want more than just college ball. The bell has rung and class is in session, which means it’s time for another season of Penn State football. With quarterback Trace McSorley leading the charge, the Fiesta Bowl winners are back to dominate the Big Ten and come out on top as conference champions. If you’re still unsure about how you’ll be watching the upcoming 2018 season, we’ve got you. We’ve put our heads together to show you a list of all the services you’ll need to get you watching this fall. Every option we’ve chosen has all the channels you need. So to help you out a little more, we’ve outlined the SparkNotes version of why these services are pretty great—check it out below. 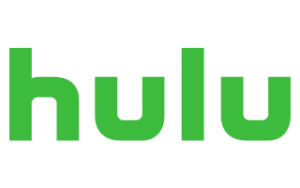 Hulu with Live TV is for those looking to pop in and out without hassle. It’s the cheapest option on the table, and it also won’t stiff-arm you with contracts or price changes. Hulu Live’s base package comes in at $39.99 a month and brings along 59 channels and thousands of on-demand options—which is enough content to keep you busy streaming once the season is over. One of the bummers about Hulu Live is that its DVR isn’t anything to write home about. It comes with 50 hours of recording storage, and with our watching habits, it amounted to not much time at all. This leaves you with add-ons to improve storage space, but to get them, you’ll have to pay an additional $14.99 a month. This is one of many other add-ons that follow the same formula. Hulu Live is great, but you’re probably better off sticking to the base package. Don’t be put off by DISH’s price because, in the long run, DISH offers a consistent package that lets you see the full picture, making it the top option for satellite TV on this list. DISH’s America’s Top 120 Plus package will cost you a total of $69.99 per month for two years (yeah, from here on we’ve got contracts). Let’s break it down though—you’ll be signing up for over 190 channels and the best access to college games thanks to its massive list of local channel affiliates. If you don’t want to rely on your internet come game time, this is the best satellite TV option for watching Penn State football. DISH does have its share of hurdles along the way. When comparing the first-year benefits between DIRECTV and DISH, DIRECTV may seem cheaper with more to offer. In reality, DISH’s prices are consistent with DIRECTV because DIRECTV’s prices are hiked up during the second year of your contract. DISH is for those of us who like to look for the bigger picture. DISH’s DVR also suffers from the same issue as Hulu Live’s DVR—if you want more, it’ll cost you. DISH’s Hopper 3 is an awesome option that gives you 500 hours worth of storage, which is the entire season and a few bowl games. The big “but” here is that it comes at an additional $5 a month. DIRECTV is the option for us Penn State football fans that want to keep track of our favorite players post-graduation and in the big leagues. DIRECTV’s CHOICE™ package throws in NFL SUNDAY TICKET if you can’t get enough football in a single season.  DIRECTV’s CHOICE™ package starts off at $45 a month with over 180 channels and includes one season of NFL SUNDAY TICKET. That means you can watch virtually every college game and NFL game for the 2018 season in your living room. Feel free to take a time-out if you need to recover from that many options. But you do have to sign a two-year contract with paperless billing if you want all the goodies. Also, NFL SUNDAY TICKET is totally optional. If you’re good with just college ball and whatever NFL games are playing on your local channels (or ESPN) in 2019, make sure to call in before then and let DIRECTV know. Otherwise, you’ll be paying $293 for something you don’t even want. Don’t worry about taking out your reading glasses for the fine print—we can tell you that the second year of DIRECTV is a little messy. The main problem is that you’ll go from paying $45 a month to $105 a month once your second year starts. If you were wondering why DIRECTV was at the bottom, this is why. So if contracts and price hikes aren’t your thing, consider the top two options. But if Penn State football is just the tip of your football craze iceberg, then consider DIRECTV’s CHOICE™ package. Penn State has some steep competition in the Big Ten this year, but you don’t become one of the greatest in the nation without beating the best. Are you streaming Penn State football? Or is satellite more your thing? Let us know in the comments below.